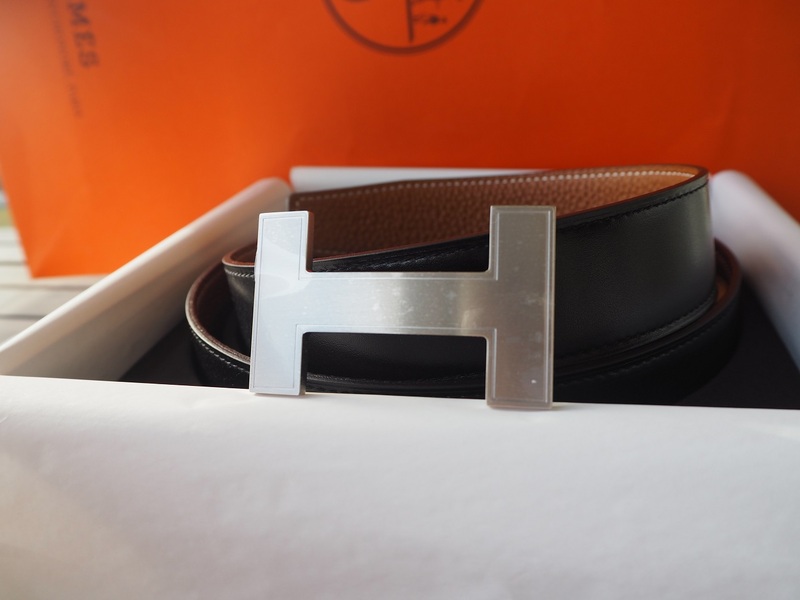 There’s just something about this Hermes belt. 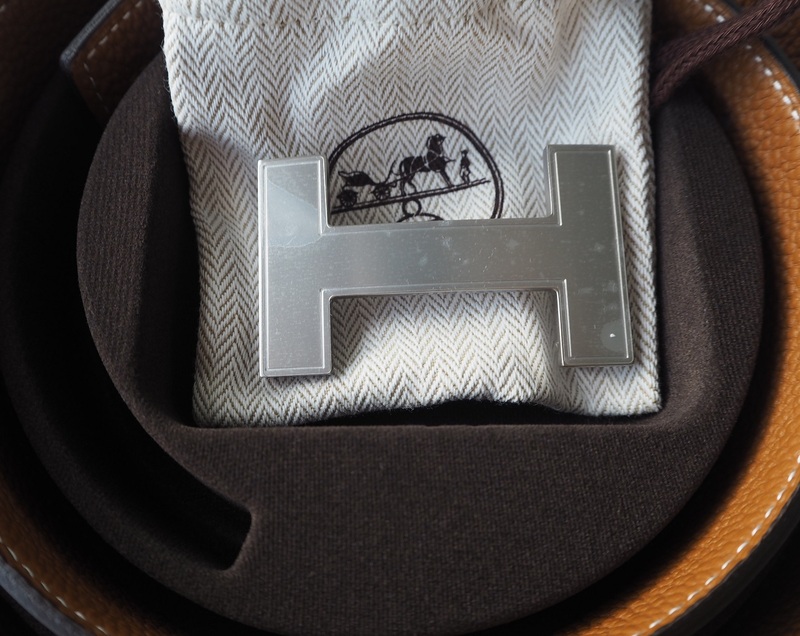 It may be the hypnotic “H” buckle, or the fact that it exudes impeccable class and is extremely difficult to get in Singapore. Waiting list? Wait no more. 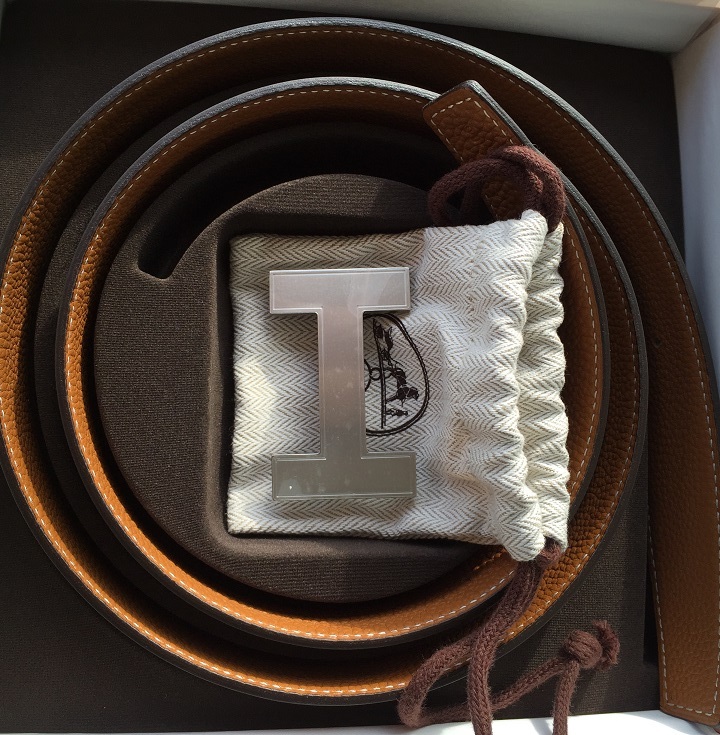 Get it instantly through us. 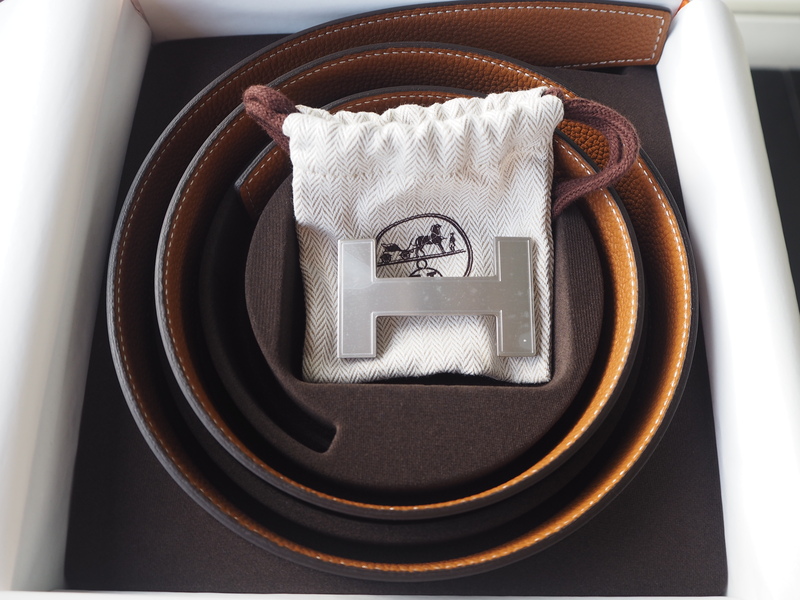 We have one handsome Palladium brushed-silver buckle (Hermes Quizz) + two tone (black/chocolate togo) leather belt for sale. The size is 90cm (approximately 32 -34 inches at the middle hole). 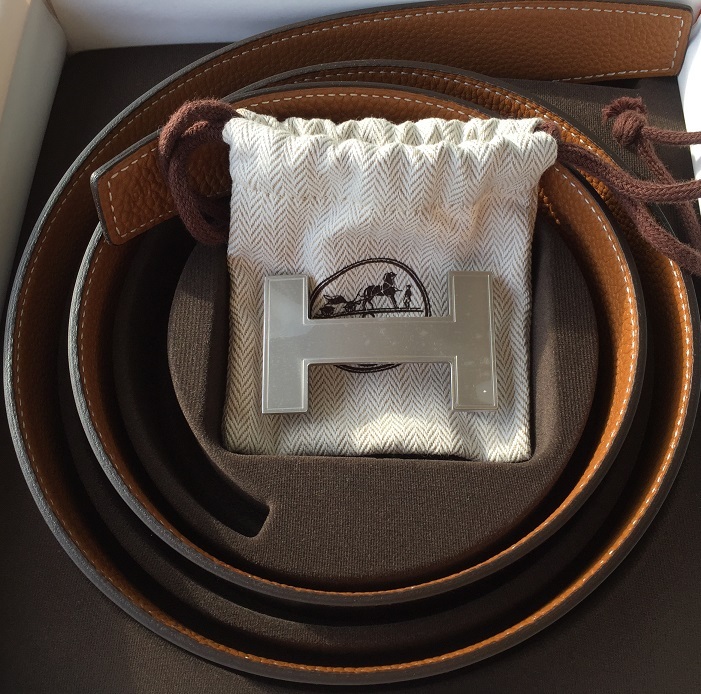 It will cost you S$1,350 at the local Hermes shop and it is usually out of stock, with long waiting list to boot. 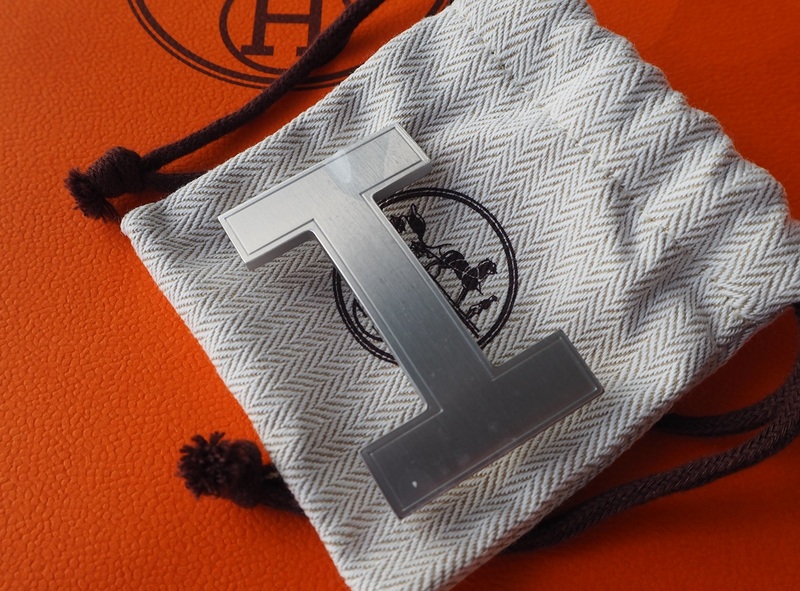 Get it from us for just S$1,100 . Email brandedsg1@gmail.com or lionsparadesg@gmail.com to buy them, or for more information. Don’t trust us, trust our customers.